Neal M. Mahoney has been the Vice President and Partner of Midland Title and Escrow, Ltd. since 2008. Among his many responsibilities as Vice President, Mahoney manages the day-to-day operations of the company, focusing on the Human Resource functions, and works to ensure the business growth of Midland. Mahoney, a licensed title insurance agent for the state of Ohio, started at Midland as a Senior Sales Manager in 1999 when Midland was rebuilding the company. Seeing it as a challenging opportunity, Mahoney developed a sales and marketing plan for the new company and, subsequently, sales were doubled within the first two years. 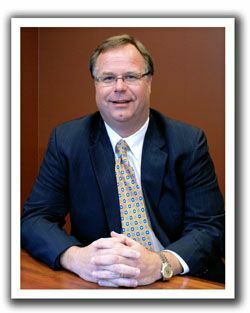 In 2004, Mahoney became Vice President of First American/Midland Title. Currently, Mahoney is a Sylvania Township Trustee, serves on the Marada board of the Catholic Diocese of Toledo, and is active in Sylvania Family Services, Christ the King parish, the United North Housing Committee, and Sylvania Chamber of Commerce. Besides being highly involved in the community, Mahoney enjoys fishing and attending his children's events.